One month after launch, almost 10,000 women have enrolled in an iPhone-based research study being led by University of North Carolina (UNC) School of Medicine researchers and the international Postpartum Depression: Action Towards Causes and Treatment (PACT) Consortium – far surpassing expectations for this initial launch. Of those who enrolled, 5,000 are eligible to submit DNA samples. This is a tremendous start and researchers are eager to have more women who have experienced Postpartum Depression (PPD) download the app and participate in the study to help further the understanding of why some women suffer from PPD and others do not – critical knowledge for researchers to find more effective treatments. The ResearchKit app, called PPD ACTTM, surveys women to identify those who have had symptoms of PPD. 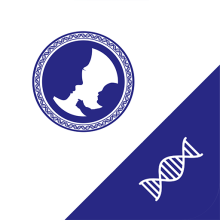 The app also invites certain women to provide DNA samples so that researchers can study the genes of those affected by PPD. Two UNC School of Medicine faculty members – Dr. Samantha Meltzer-Brody, MD, MPH, director of the Perinatal Psychiatry Program at the UNC Center for Women's Mood Disorders, and Patrick Sullivan, MD, director of the UNC Center for Psychiatric Genomics – led efforts to design the study and develop the app with support from the UNC Health Care and UNC School of Medicine Center for Innovation. "The initial response to the study and mobile app has been incredibly encouraging," said Dr. Meltzer-Brody. "This is a testament to the need for more research, acceptance, and support for women who suffer from PPD and similar mood disorders. But our work is far from over." "This is a completely new way of recruiting study participants for genetic studies, and is proving to be a highly effective way to recruit women for study participation in order to reach the large sample sizes necessary for psychiatric genetic studies," said Dr. Sullivan. "The large sample size estimates are based on work I've conducted with the Psychiatric Genomic Consortium (PGC) on other psychiatric disorders." The goal is to get at least 50,000 women from around the world to take part in the study. To help spread the message, UNC partnered with Postpartum Progress, an international nonprofit organization that supports women with maternal mental illness. Postpartum Progress is committed to spreading the word about the study, particularly among its community of Warrior Moms, mothers who have experienced perinatal mood and anxiety disorders. "Our ever-growing network of Warrior Moms is working diligently to increase awareness among women who have suffered from PPD and related mood disorders in the past," said Katherine Stone, founder of Postpartum Progress. "We want to ensure that women understand that their participation in this study is a significant contribution toward treating – and eventually preventing – perinatal mood and anxiety disorders." While not a primary objective of the study, many women have sought care after enrolling in the study and receiving feedback via the app about the severity of their PPD experience. "The fact that some women are seeking treatment for PPD as a result of the app is a wonderful use of the app as a screening tool." said Dr. Meltzer-Brody.